Gabe House brings years of experience working with music and youth to his role as music director for the Live Oak Clubhouse. Gabe joined the Boys & Girls Clubs of Santa Cruz County in May, having served as a music director and choir leader for Boulder Creek United Methodist Church. 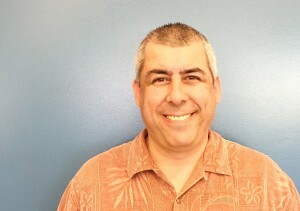 He also has worked with youth choirs at Aptos High and Junior High, as well as local theater and performing groups. At the Live Oak Clubhouse, he decides on a day-to-day basis how to incorporate music into the daily offerings. Sometimes, there a just a handful of participants, and on other days there are several dozen. He leads sing-alongs with small groups, or puts on classical music if participants need to have quiet time. Members also can join karaoke, play drums, have dance sessions. “I play off the vibe I get when they walk in the door,” Gabe said. 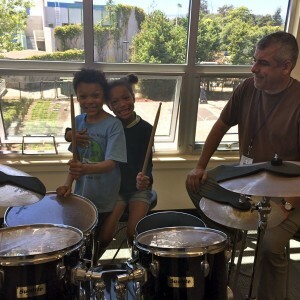 The Music Program at the Live Oak Clubhouse is offering two new classes this summer: Glee and School of Rock, both of which are nine-week sessions that began the last week in June at a cost of $25 each. In Glee, participants are exploring the Disney songbook and will perform during a potluck event at the end of summer. In School of Rock, members get to try their hand at different musical instruments, including piano, guitar and drums. Interested members can sign up at the front desk.